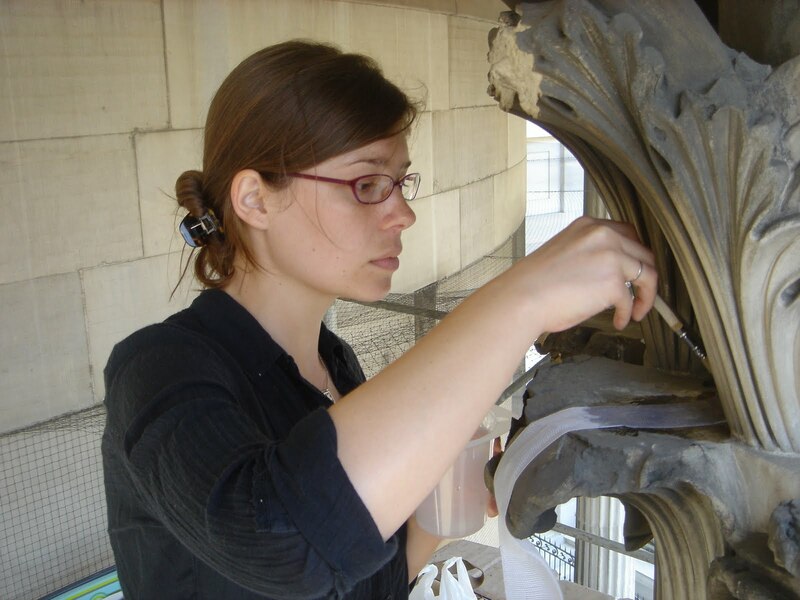 Rosa Lowinger & Associates is delighted to announce the addition of Assistant Conservator Lauren Reynolds Hall to our firm. Lauren has an undergraduate degree in drawing and painting, and an MS in Historic Preservation with an Advanced Certificate in Architectural Conservation from the University of Pennsylvania’s Graduate Program in Historic Preservation. 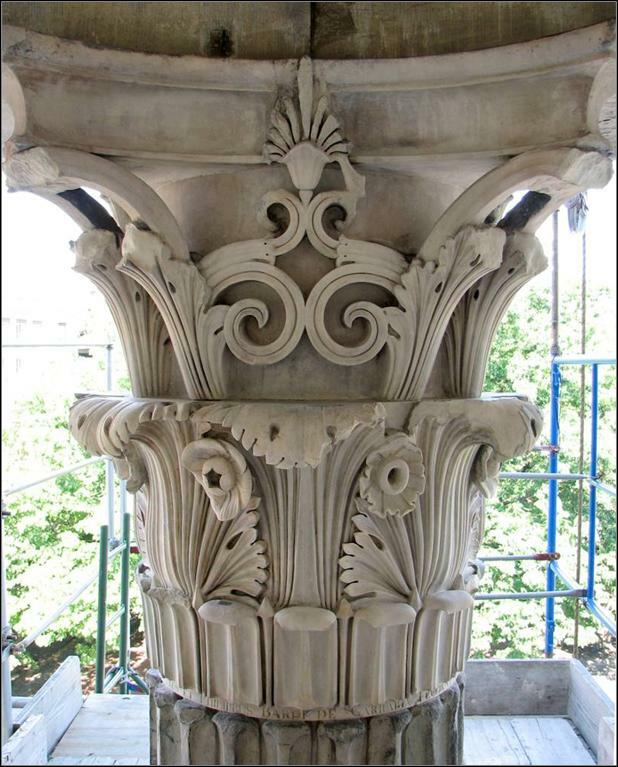 Lauren's addition to our firm will allow us to offer the highest level architectural conservation services to our nationwide clients. 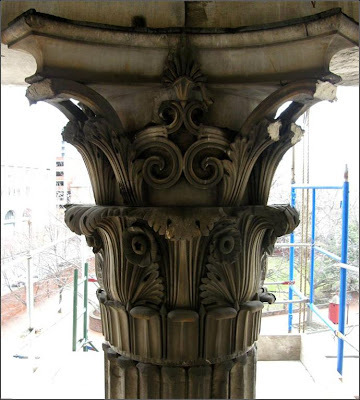 Philadelphia Merchant's Exchange Capital, before conservation. Philadelphia Merchant's Exchange Capital, after conservation.